In a Webmaster Hangout, Google’s John Mueller answered a question about a site that lacks a conventional site navigation. The site essentially has a flat site architecture in that it depends on the site map for URL discovery. There are no categories or folders. John Mueller’s answer touched on the importance of a meaningful site architecture as a powerful way to tell Google what your site is about. Brett Tabke’s suggestion to create category pages designed to rank for your top keyword phrases then narrow it down to the more specific is what’s known as a Theme Pyramid. This was an original idea posted by Brett Tabke circa 2002. Google’s John Mueller stated that it was advisable to use a site architecture with meaningful categories (what Brett Tabke refers to as directories). John Mueller is discussing what sounds like hierarchical site architecture (Theme Pyramid) and how it communicates semantic relatedness. What this seems to imply is that a website can be viewed as a hierarchical structure, with the main topic at the home page and the sub-topics comprising the next level down. 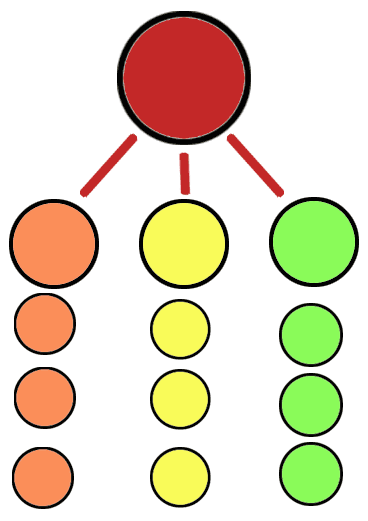 Google might look at the site as a series of nodes and edges, where the nodes are the pages all interconnected by relevant topics. John Mueller’s answer highlights the usefulness of organizing categories semantically, using meaningful category names to tell users and Google what the context and meaning is of the pages contained within.